Over the years, I have had increasing requests for use of my photograhic works for publication. "Ushering in a New Republic"
on ceremonial arrivals of famous Romans to Rome in the first century BC. 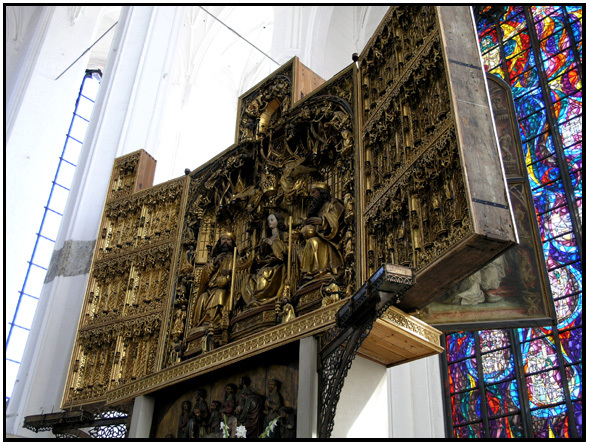 "Der Flugelaltar und sein Personal - Die Heilsmaschine"
This 2009 photo of the exquisit Altar in St. Mary's, Gdansk, Poland, was featured in this beautiful volume. 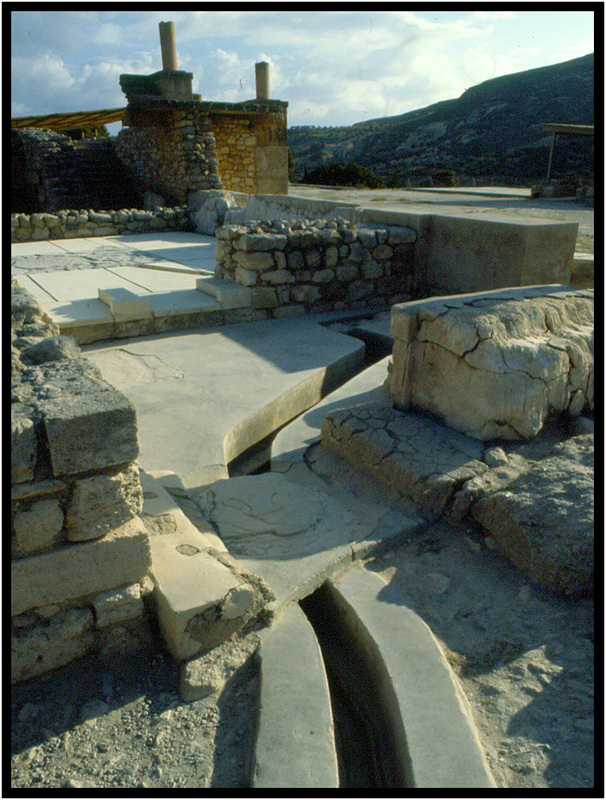 This photo of the sewer system in Knossos, Crete, 1978, was approved for useage in an article on the sewers of London in this book series published in Scandinavia. "Yachats Rural Fire Protection District Community Calendar"
The Fire Chief wanted to produce a community calendar both as a fund raiser and to thank and inform the community. The idea was to show the vehicles that the tax payers had purchased in a setting of local points of interest. The calendar was published in black and white for economics reasons. "Exploring Heaven - What Great Christian Thinkers Tell Us About Our Afterlife with God"
My friend, mentor, fellow City Councilor, and George Fox University professor, Arthur O. Roberts, asked me to photograph him for the fly leaf of his book. 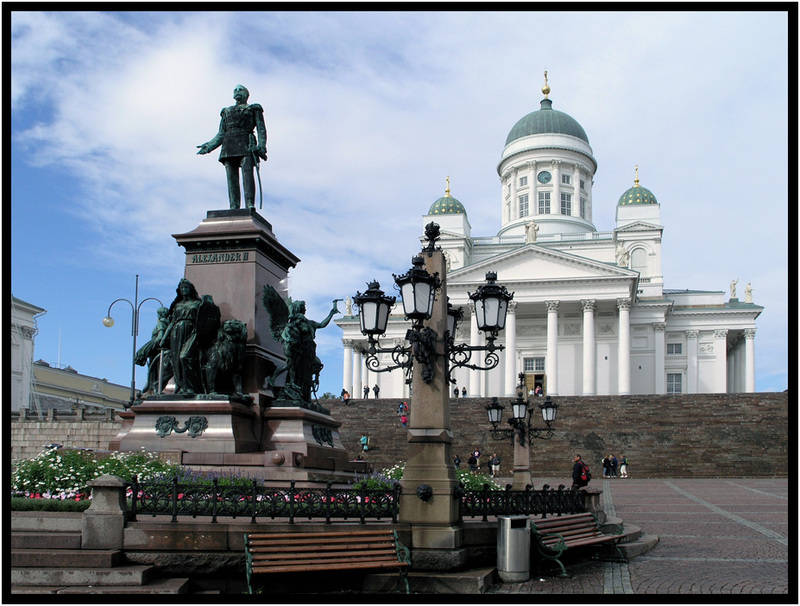 This photo of Engels Cathedral, Helsinki, Finland, was one of two of my submittals selected from over 57,000 entries for the "1000 Memories Sweepstakes" and hangs in the Royal Princess.